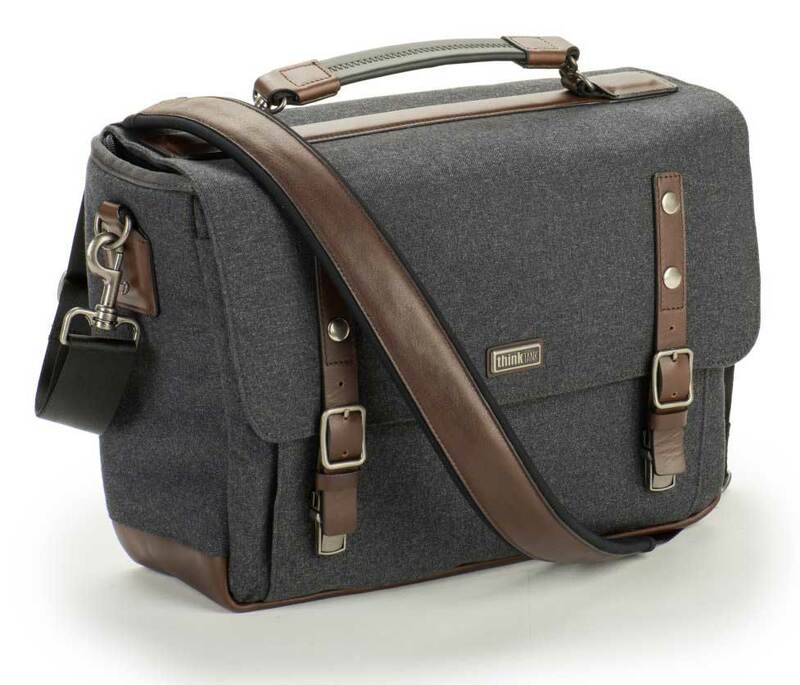 Think Tank Photo has released new camera bags for a variety of photo applications, whether you’re traveling on assignment, shooting street photography or doing drone work. The versatile Airport TakeOff V2.0 ($369, pictured above) can be converted from a roller to a backpack. The update is 15% lighter and fits most U.S. domestic and international airline carry-on requirements. All exterior fabric has a durable water-repellent coating. Internal dimensions are 13” W x 18.5” H x 5.3– 6.8” D, and exterior dimensions are 14” W x 21” H x 8” D.
The Signature Shoulder bags are an update of the classic shoulder bag. The Signature 10 ($250) holds a standard-sized DSLR with 3 to 4 prime lenses and accessories or a complete mirrorless camera system with 3-4 lenses and accessories, plus a 10” tablet fits inside a dedicated compartment. The Signature 13 ($280) holds a standard-sized DSLR with mid-range zoom attached, plus 2–3 additional lenses, and a 13” laptop fits inside a dedicated compartment. The outer fabric is treated for protection against the elements. 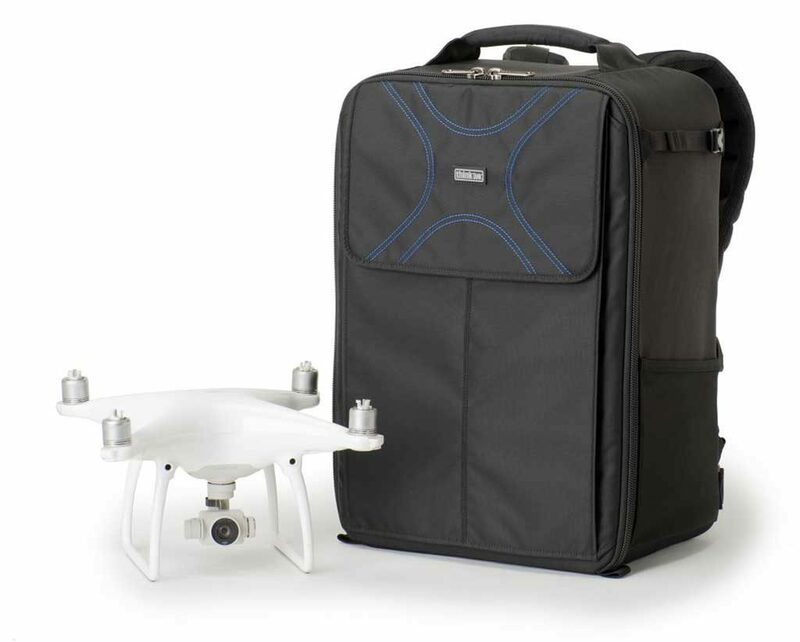 Think Tank Photo has upgraded its Airport Helipak V2.0 ($199) accommodates a DJI Phantom 4 and similarly sized drones, plus accessories courtesy of a custom divider set, with room for a 15” laptop. It’s also compatible as a carry-on with U.S. domestic and international flights. Santa Rosa, Calif. – There are times when uneven terrain simply forces photographers to carry their rolling camera bags. Now, with Think Tank Photo’s Airport TakeOff V2.0, they can convert their roller to a backpack. And since the new version is 15% lighter, a photographer can carry their gear to the next location more comfortably. Sized to meet the needs of the traveling professional, the Airport TakeOff V2.0 fits most U.S. domestic and international airline carry-on requirements. Santa Rosa, Calif. – The Signature Series from Think Tank is a modernized version of the classic shoulder bag. Whether one is a young urban professional or corporate photographer, the Signature shoulder bag is as fashionable as it is functional. Hand sewn, advanced fabrics blend weather protection and durability with the classic feel of fine wool. Genuine leather detailing and metal hardware adds character and stands up to the rigors of daily use. Santa Rosa, Calif. – As quadcopter design continues to evolve, so does Think Tank Photo’s Airport Helipak V2.0 backpack for DJI Phantom. This newly updated backpack, renowned for its comfort, accommodates a DJI Phantom 4 and similarly sized drones. 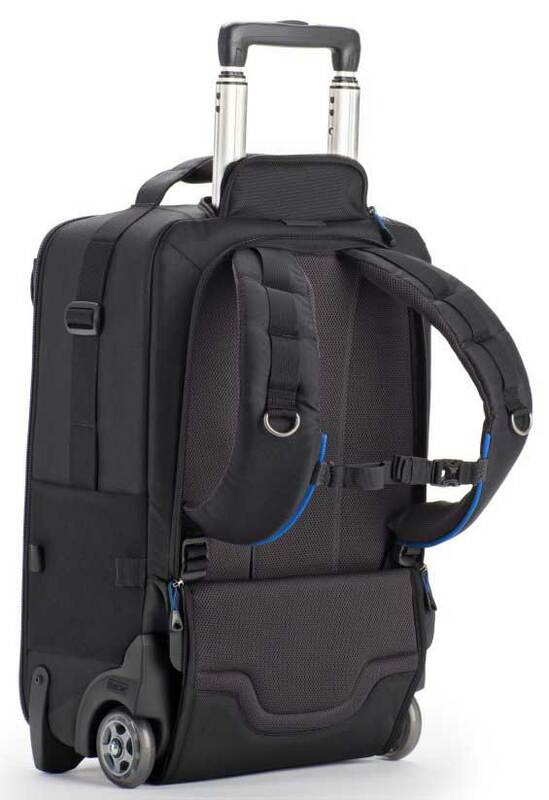 Its refined design is carry-on compatible for both U.S. domestic or international airline travel. Its custom divider set allows maximum room for extra accessories and gear, including a small camera kit, and features a dedicated 15” laptop compartment. Exterior: For superior water-resistance, all exterior fabric has a durable water-repellant (DWR) coating, plus the underside of the fabric has a polyurethane coating. The backpack also features YKK® RC Fuse (abrasion-resistant) zippers, 1680D ballistic nylon bottom panel, 600D polyester, 420D velocity nylon, 3D air mesh, ultra-stretch pockets, Y-buckles, antique finish metal hardware, big hole air mesh, nylon webbing, and 3-ply bonded nylon thread. Interior: Removable closed-cell foam dividers, 210D silver-toned nylon, polyurethane-backed velex liner, 2x polyurethane coated nylon 210T seam-sealed rain cover, Belly-O mesh pockets, and 3-ply bonded nylon thread.